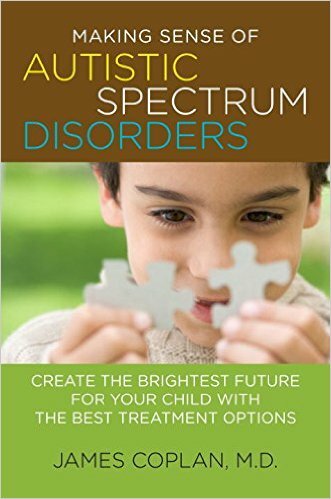 James Coplan has a nice book explaining the basics of autism. As he says, we have much to learn and understand yet. I first off readily admit the subject of autism is quite elusive to me, but we do know that autism affects an individual’s ability to develop and connect socially. Personally, I also know it has affected friends, coworkers, family and clients I have met with. Because of its prevalence among engineers and transgender individuals, mostly in the form of Asperger’s, it has crossed my path quite a bit. Enough so, that I have a spectrum and ally group that meets monthly. I think our understanding of the brain is still just too early in its infancy to really have a grasp on what autism is in terms of the physical neural atypicality. When we can pinpoint the physical differences in the brain, that cause the various types of communication challenges going on in the brain, then we can understand the various manifestations of autism. It’s about communication differences, inside and outside, from the brain cells to the sensory-motor system. Autism is a spectrum. It’s not one thing. And because we can’t figure it out, we lump the variations all under the autistic spectrum difference category. Sometime in the future, it will likely be split out into various types and subcategories. Difficulty relating to other individuals. Being closed off from others, in one’s own world, lack of eye contact, personal space issues, social reciprocity issues. Language difficulties or atypical language. Having trouble understanding the speech of others, or having trouble speaking, difficulty with visual cues, knowing that sounds and words have meanings, parroting phrases, abstraction difficulties, body language issues. Repetition in various behaviors. Excessive amount of repetition, impulsivity, insistence on sameness, difficulty with change, atypical level of organization, stimming such as toe-tapping, finger twiddling. Atypical sensor processing or motor processing. Clumsiness, sensitive to sounds, craving deep pressure, drawn to patterns, excessive sniffing, atypical pain threshold levels (high or low), picky eating, high/low fear levels. Dr. Coplan discusses two mental abilities that span these four problem areas and shine a light on why these areas are troublesome. The first is theory of mind and the second is central coherence. The theory of mind ability is the cognitive ability to grasp that other people have thoughts and feelings and we are able to come up with a guess as to what those thoughts and feelings are. The theory of coherence is the ability to see the big picture, pulling all the little pieces into a consolidated whole. These two fundamental abilities are a challenge for those on the autism spectrum. To learn more, just pick up a copy of Dr. Coplan’s book of course! Here are some resources that may be helpful. Of course, if you can’t find it, google it or call social service information 211. If you are a family just getting started, take a look at the 100 Day Kit (and breathe lots). On Broadway! How about that!